His Excellency Governor Augustus J.U. 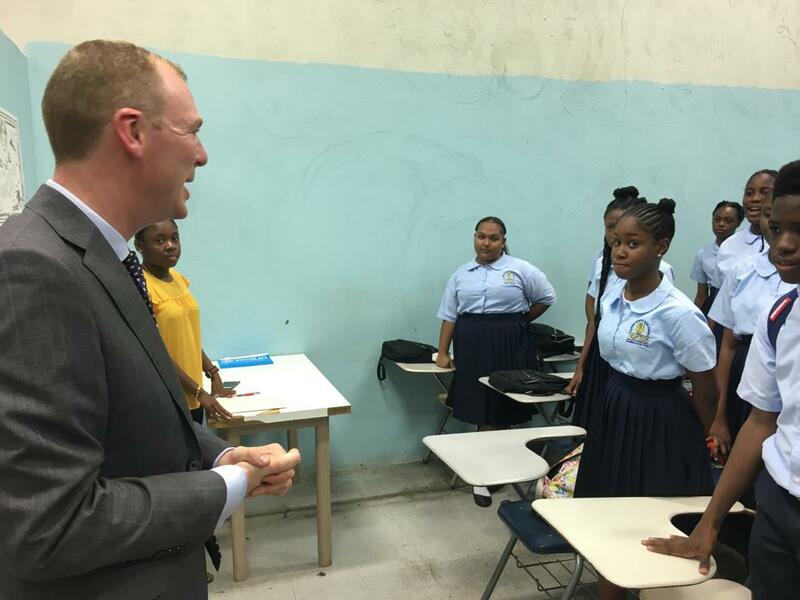 Jaspert is featured meeting with senior students of the Elmore Stoutt High School on September 25, at their temporary location in Pasea since Hurricane Irma. Governor Jaspert applauded the students for their commitment to remaining focused under challenging circumstances. 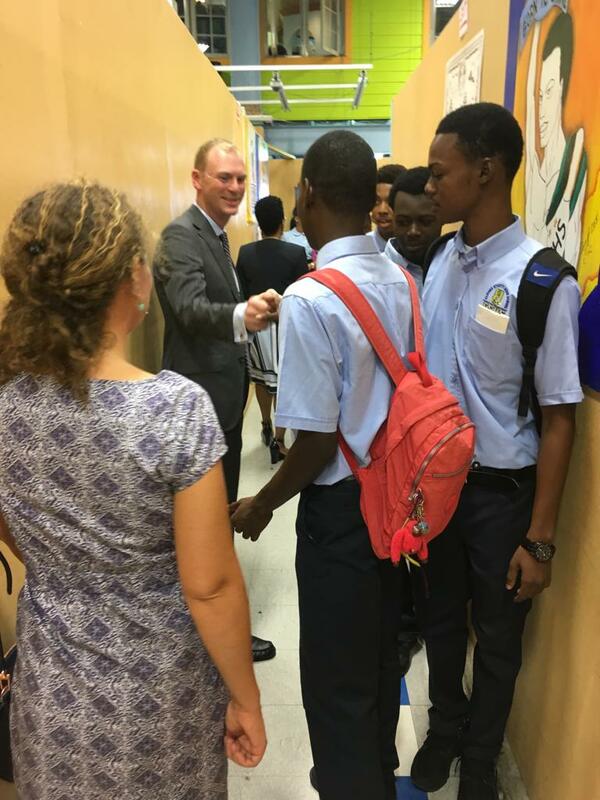 He also thanked teachers and commended them for their unwavering dedication to the development, growth and learning of our students in the Virgin Islands.